Although the term of wanderlust has a clear definition, I think all travelers add something personal to this definition: Their source of wanderlust. Because even though it is a term, wanderlust in the end is a feeling. I believe that some of us are born with this feeling, while others develop it as they grow. …I was born with it. To me, this feeling is all about discovering new ways of living and behaving through travels. By learning new ways, you can namely better your way of living: Adding foreign values and norms to your life, adds insight into your current way of living. As such, I take bits and pieces of foreign cultures and their ways of living and adapt them to my own life. In doing so, I’m gradually finding the way of living that makes me happy and rounds me as a person. Acquiring insight and understanding, therefore, makes a world of difference to me as a person. I couldn’t agree more, travel is vital and so is experiencing different cultures. We have been lucky enough to travel all over the world with our children. They have been to school in the UK, France, the USA and New Zealand. They have visited Asia and the Caribbean as well and many countries in Europe. As a result they are well rounded children, they understand different people. Although we now have a permanent base in France, where I write my blog, travel will always feature in our lives. I agree with you in everything you said here! For me wanderlust is the feeling when I want to get lost somewhere else. I just can’t stay in this familiar place for too long but rather would experience new things, foreigner people, unknown cities. Thanks for sharing. 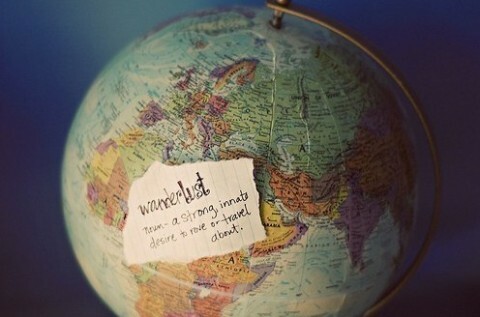 This pretty much sums up my feeling of wanderlust. I can completely relate to traveling “fueling” me! Our family works best on the road! Trying to cram in all the travel we can before our daughter’s time is up.